"It wouldn't be an exaggeration or an overstatement to say the set was magical; the sheer range of musicianship they displayed on those acoustic guitars was incredible." 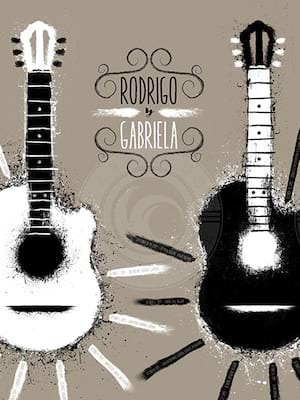 Why See Rodrigo Y Gabriela? 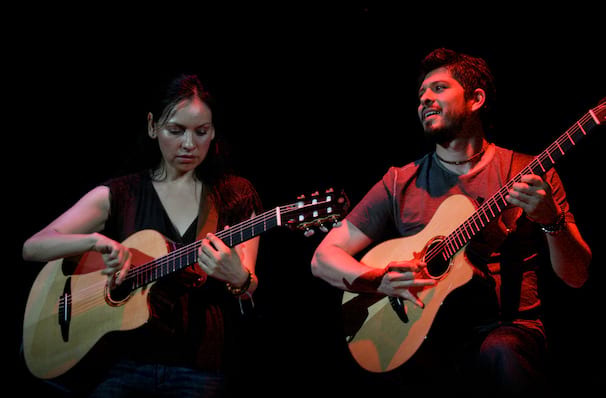 The powerhouse of the duo comes from Gabriela's exquisitely fast strumming, described by many reviewers as hummingbird-like and provides the main bass sound for their music; on the other hand, Rodrigo uses these strong notes to cascade with higher chord combos and sis content to have her take the main applause. He has his own charm and flair however, such as playing slide with a Heineken bottle and managing to evoke Led Zeppelin at the same time! Their trademark rapid guitar play has become their trademark and has garnered a huge following worldwide, and even spawned a special DVD for their 11:11 concert in Japan. Seen Rodrigo Y Gabriela? Loved it? Hated it? Sound good to you? Share this page on social media and let your friends know about Rodrigo Y Gabriela at Franklin Music Hall. Please note: The term Franklin Music Hall and/or Rodrigo Y Gabriela as well as all associated graphics, logos, and/or other trademarks, tradenames or copyrights are the property of the Franklin Music Hall and/or Rodrigo Y Gabriela and are used herein for factual descriptive purposes only. We are in no way associated with or authorized by the Franklin Music Hall and/or Rodrigo Y Gabriela and neither that entity nor any of its affiliates have licensed or endorsed us to sell tickets, goods and or services in conjunction with their events.